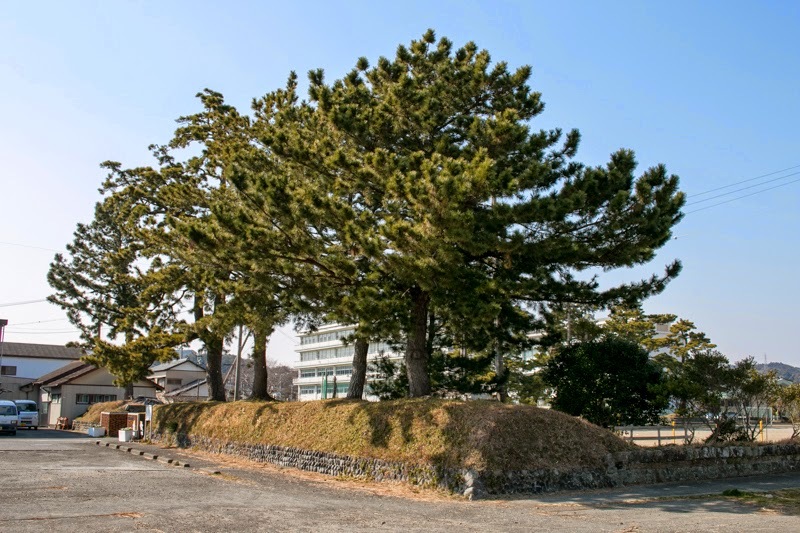 Sagara castle (相良城) is located at the place of current city office of Makinohara city, a town faces Enshunada bay between Oigawa river and cape Omaezaki. Sagara area is distant from Tokaido road which passes east and west bound of Totomi province (western part of Shizuoka prefecture) but having good port and salt production it prospered as a center of south part of Totomi province from ancient era. 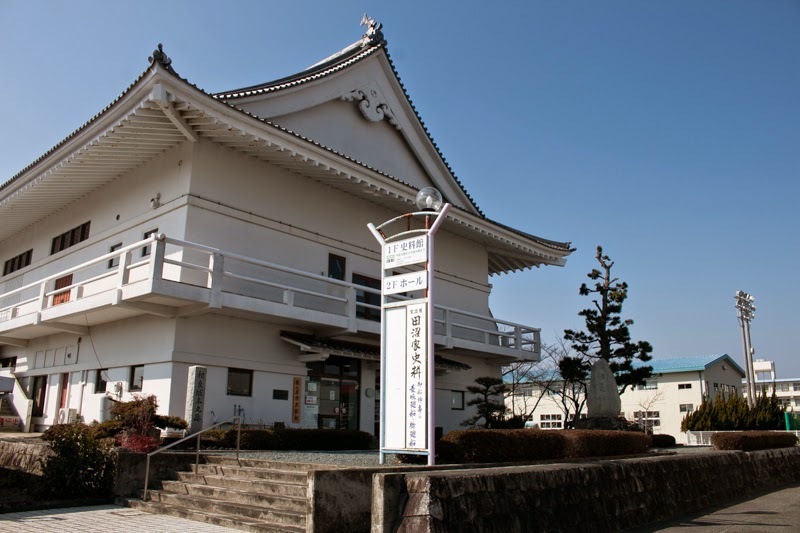 Sagara town is also the birthplace of Sagara clan later became a feudal lord of Hitoyoshi castle (Kumamoto prefecture). 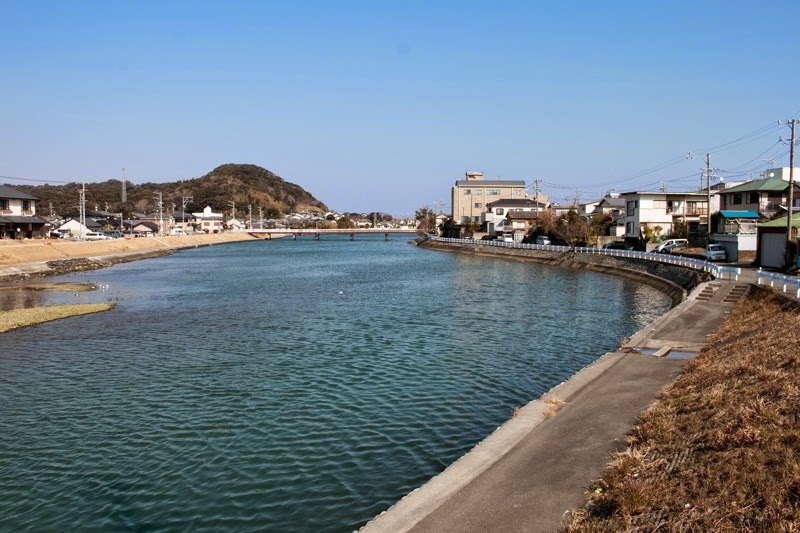 Sagara castle is built beside the curving point of Hagimagawa river near its river mouth. Originally there was a small residence of Sagara clan, but in 1575, Katsuyori Takeda (1546-1582), a warlord of Kai province (Yamanashi prefecture) and who captured Takatenjin castle at the 15 kilometer west of this castle, renovated it into a genuin one as a connecting point of Takagenjin castle and their territory Suruga province (middle part of Shizuoka prefecture). 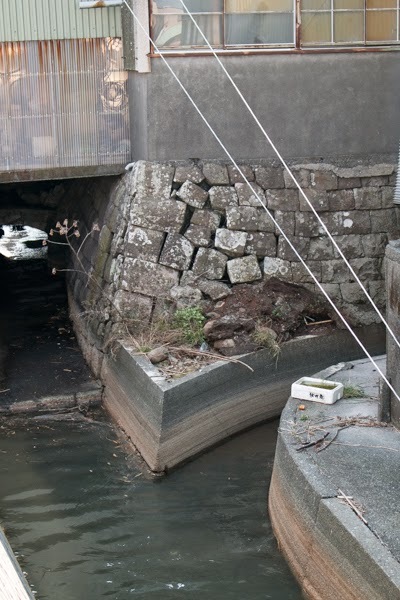 Takeda clan liked to build a plain castle at the curving point of river such as Sanmaibashi castle (Numazu city) or Ejiri castle (Shimizu city), to use the river as an anchorage place of military ships. After the fall of Takeda clan in 1582, Ieyasu Tokugawa (1543-1616) captured Sagara castle and built his residence in 1584, to use the rest at his favorite hawk hunting. 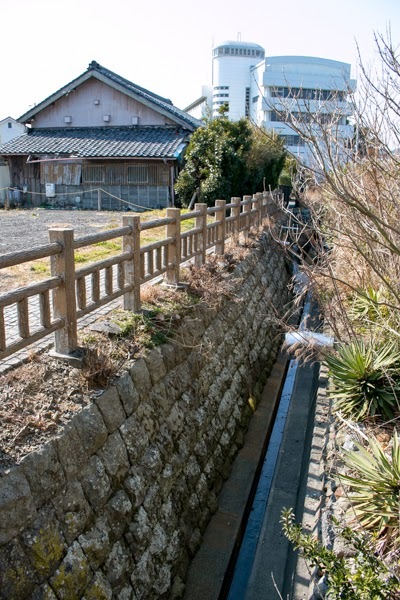 At the beginning of Edo era Sagara area was directly governed by Edo Shogunate, but in 1710 Honda clan was appointed as a lord of Sagara area and became a feudal domain. Honda clan built their Jinya (administrative office for small lords not approved to have castle) at the place of Sagara residence. In 1758, Okitsugu Tanuma (1719-1788) became the lord of Tanuma castle. Okitsugu was originally a son of small retainer came to Edo city along with eighth Shogun Yoshimune Tokugawa (1684-1751) who was born at Kisyu domain (Wakayama prefecture). Okitsugu served to ninth Shogun Ieshige Tokugawa (1712-1761), and was evaluated his talent. After the death of Ieshige, 10th Shogun Ieharu Tokugawa (1737-1786) continuously trusted Okitsugu, then Okitsugu was appointed as “Sobayonin” (chief cabinet secretary) in 1767 and participated in administration. Okitsugu was a clear mercantilist which was rare in Edo Shogunate which had a physiocratic atmosphere. Originally Edo Shogunate was established as a Samurai government of eastern Japan, and like western feudal knights the relationship of Samurai and lords were a bilateral duty of appanage and military service. Furthermore Edo Shogunate started beating Toyotomi government which had its base on the economic power of Kinki region, and neo-Confuasianism (Syushigaku), which was the official doctrine of Edo Shogunate, set lower value on commercialism. Because of above reasons, Edo Shogunate emphasized agriculture and frequently suppressed commerce. But due to this attitude, fiscal problem of Edo Shogunate became worse year after year. Edo Shogunate sold rice crops paid as tax and gained cash, but due to the peace and large land reclamation rice production has significantly increased and rice price went down. On the other hand, development of monetary economy forces Shogunate and Samurais to spend more and more, then they had to borrow large amount from merchants. Facing this situation, former politicians such as eighth Shogun Yoshimune tried to reduce budget, increase tax and suppression of commerce to improve the fiscal policy of the government. This policy was useful to the enforcement of disciplines in the government, but also bought a deflation to the society. Contrary to this, Okitsugu adopted the opposite policy. Okitsugu encouraged commerce and protected merchants through guilds in exchange of taxes. 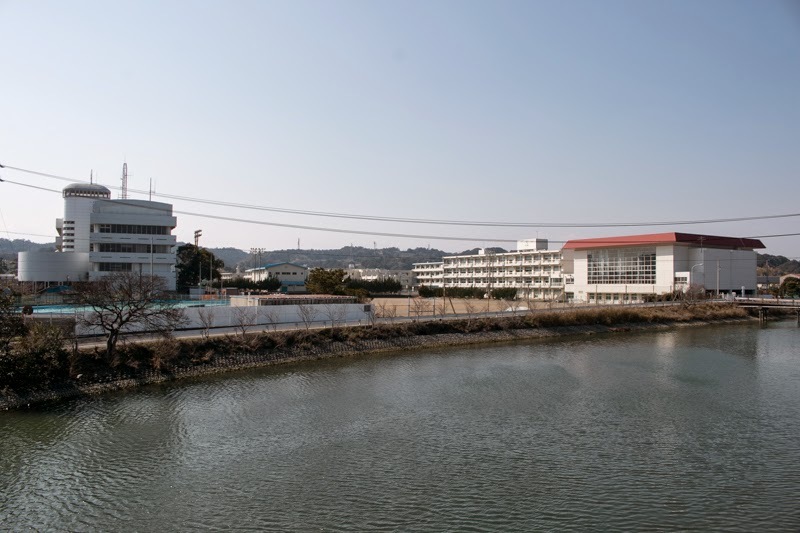 He also adopted positive fiscal policy such as increase of monetary base, and made large scale public investment such as land reclamation of Inbanuma lake (Chiba prefecture). Okitsugu also encouraged commercial agricultural products to the farmers, and tried to sell them more at foreign trade. Okitsugu also consider the existence of Russian empire which reached to Okhotsk sea, and sent expedition team to Hokkaido area. These policy intended the increase of tax by development of economy, and quite resembles to the economy relief policy of modern era. The economy had improved and income of Shogunate temporally increased. Based on these result, Okitugu promoted to Rojyu in 1772, and also his territory has increased. In 1767, Okitsugu was approved to build a new castle and started construction at the place of former Sagara castle, and after 12 years construction new Sagara castle was completed. 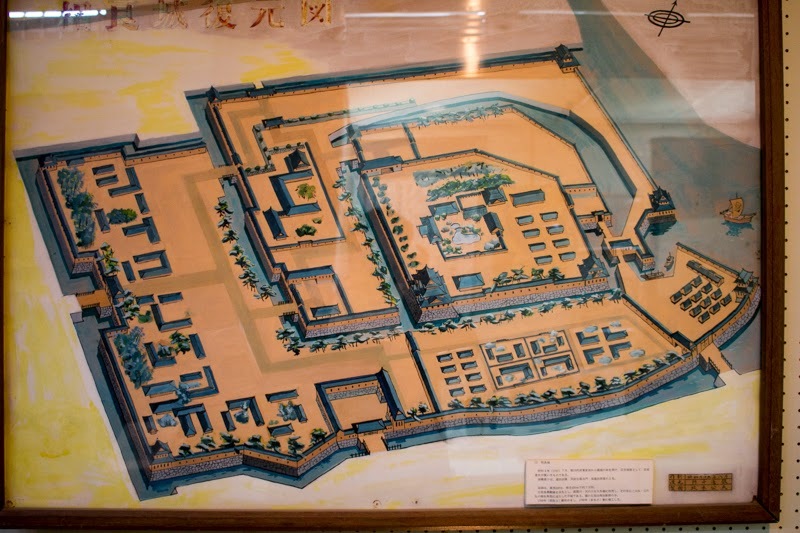 Secondary area and third area was newly built at the west of central area, and outer area surrounded whole castle. Total size of the castle was about 500 mere long and 400 meter wide, and this castle had a three story main tower rarely built at the latter half of Edo Shogunate. 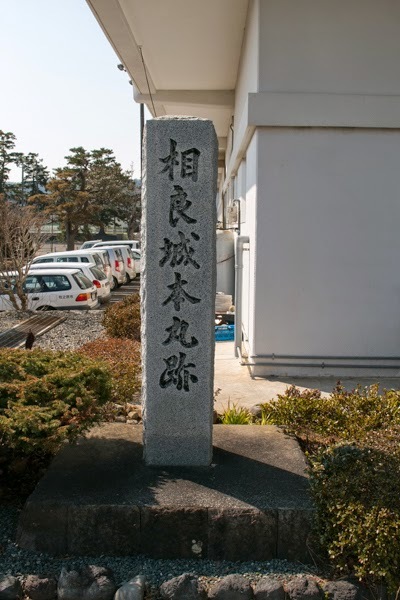 Okitsugu also developed Sagara town by development of port and roads, introduction of anti fire buildings and encouragement of commercial crops. But the peak of Okitusugu did not continue long. Connection with guilds were accused as a cause of severe brively (it is said that brivery was not so severe at that time), and large project such as reclamation of lake Inbanuma did not proceed well. 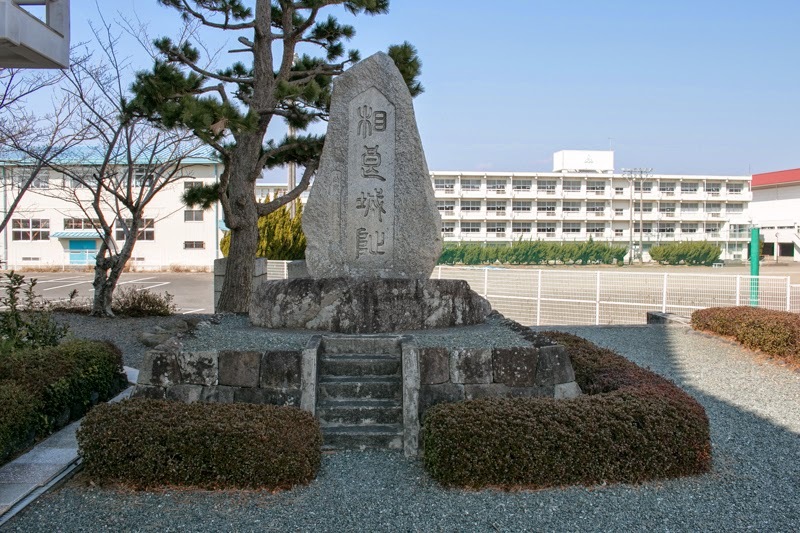 In 1783, famine of Tenmei, a severe famine from the explosion of Asamayama mountain occurred, and transfer to commercial crops expanded the damage. Under the easing of monetary policy the price of rice significantly increased, then riot of town people frequently occurred in Edo city. In 1784, Okitomo Tanuma (1749-1784), son of Okitsugu, was assassinated in Edo castle, and in 1787 Okitsugu finally down fall along with the death of 10th Shogun Ieharu Tokugawa. Okitsugu was downgraded to a small lord of distant area, and magnificent Sagara castle was totally destructed only within 10 years after its completion. Over 30 years after he son of Okitsugu returned to Sagara area and served as a lord by the end of Edo Shogunate. Edo Shogunate denied the policy of Okitsugu, but in the former half of 19th century large lords such as Satsuma domain or Choshu domain adopted same mercantile policy and restored their situation. These domains gained their power and ironically became the main force of anti Shogunate movement, and finally beat it. 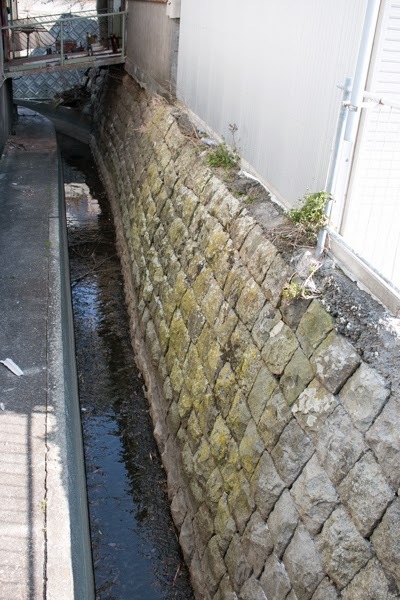 As above the site of Sagara castle was totally destructed, but at the riverside a stone walls of 40 meter long donated from Date clan of Sendai domain still remain and is called as “Sendai Kashi” (Sendai quay). 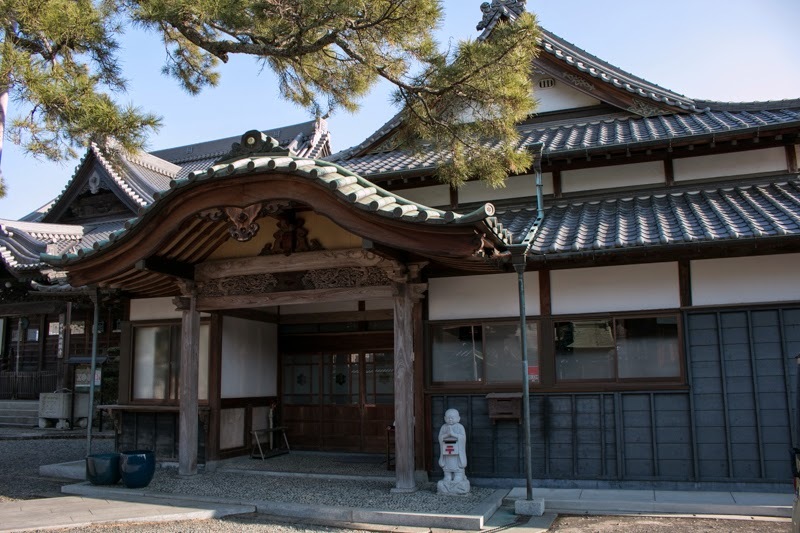 In addition to this, building of former palace building were bought at the time of destruction and still remain at a temple in Fujieda city. 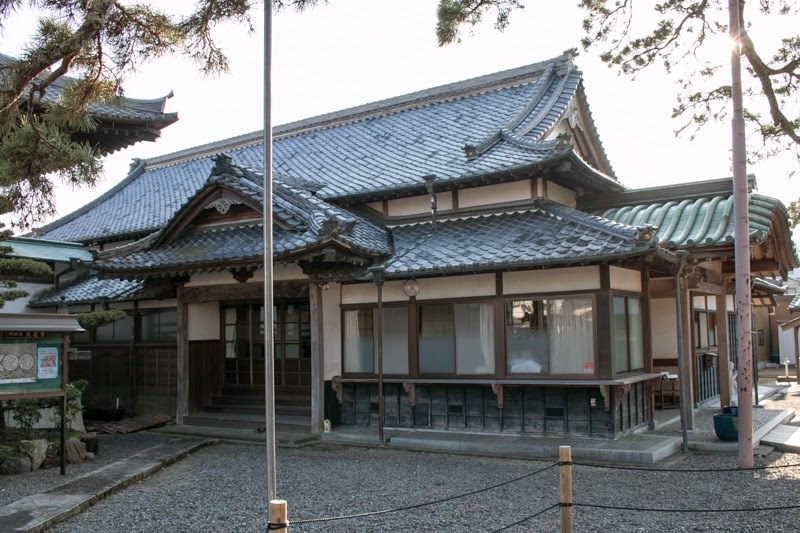 The exterior of this palace is quite simple, and looking at this building it seems that accuse to Okitsugu as money politician was not appropriate.